Major up and down temperature swings are expected this week for Central Texas and Austin. AUSTIN, Texas — You don't have to travel to Six Flags for a roller coaster ride this week. Some crazy twists and turns in our weather are coming to your neighborhood, Central Texas. It's all uphill the next few days as temperatures eventually climb up into the mid-70s by Thursday and Friday. It'll be borderline balmy. But, don't get used it. A strong cold front barrels through Texas late Friday night plummeting temperatures just in time for the weekend. 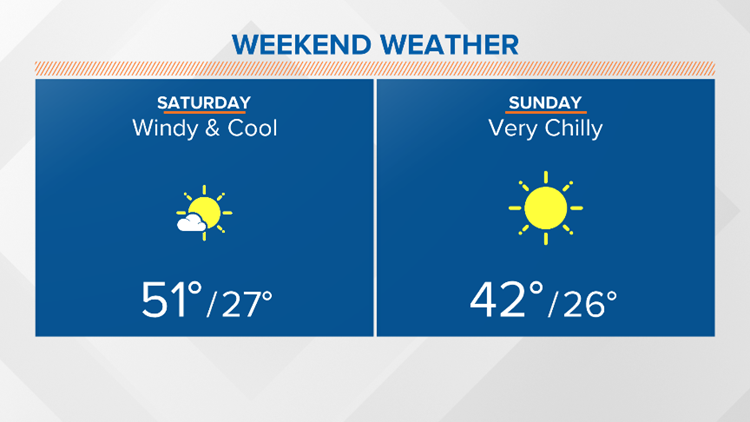 Both Saturday and Sunday will be cold and blustery with hard freezes likely Sunday and Monday morning for Martin Luther King Jr. Day. 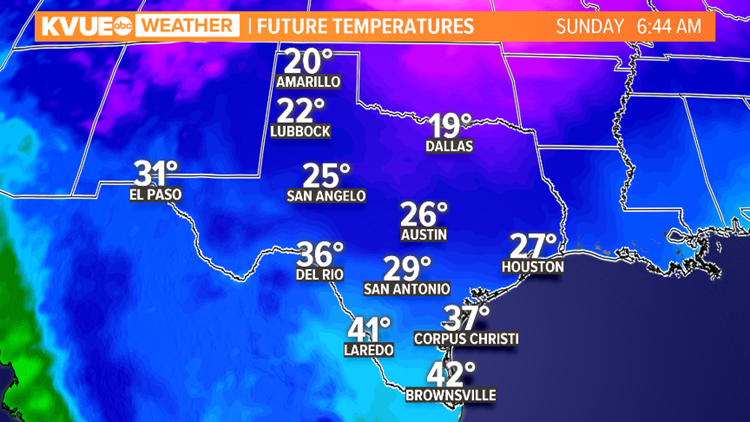 Prepare for "wake-up" temperatures those mornings to drop into the middle 20s across the Austin metro and "feel-like" temperatures in the teens as winds could gust over 30 mph. 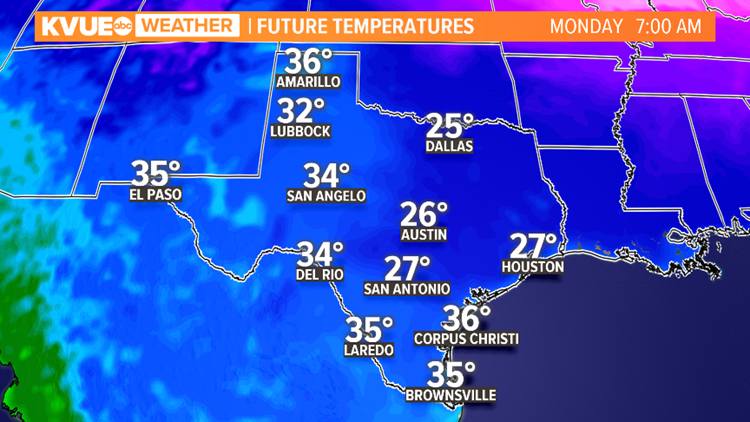 Even colder temperatures will be possible for higher elevations in the Hill Country. Oh boy, are you feeling your stomach turning yet? Don't get queasy, now!